How do you change koth timer colors? I want to have one static color (white) and then (green) when your timer goes down. Rebite@5549 the thing i googled worked fine for me. did u try doing that? Oh man thanks I didn't know I could try looking things up myself, huge help! [quote=Rebite]@5549 the thing i googled worked fine for me. did u try doing that? looked on the last page "matchstatus.res" seems to be the answer. Rayshud doesn't seem to have this file. 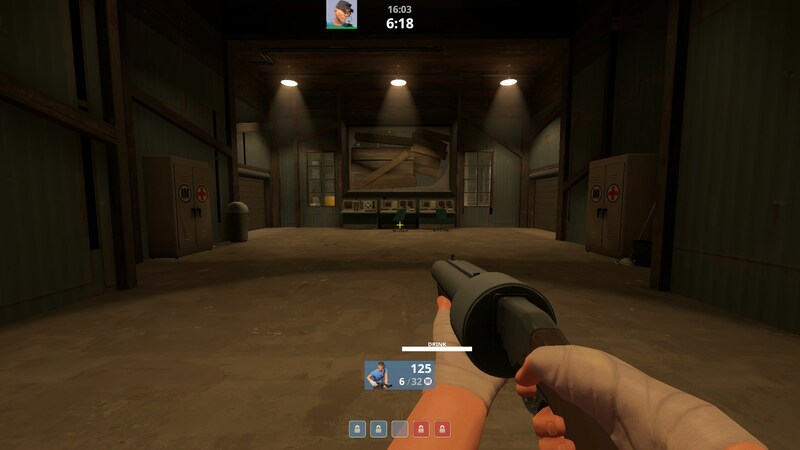 Do I just pull the default file from the TF2 hud and edit that? Since I'm not sure what that box is try the following: turn on "sv_cheats" then "vgui_drawtree 1" and select "highlight selected" then you have to go through the menu and find the file where that box is. This tool can be really useful in finding stuff messing around in your hud. Then you could move it within the file. Does anyone know where can I edit this little box? It appears whenever you pick someone's weapon from the floor. I tried using "vgui_drawtree 1" and go through all my files without any luck. CamusDoes anyone know where can I edit this little box? It appears whenever you pick someone's weapon from the floor. edit: maybe CarryingWeapon in HudPlayerClass.res? [quote=Camus]Does anyone know where can I edit this little box? It appears whenever you pick someone's weapon from the floor. zen CamusDoes anyone know where can I edit this little box? It appears whenever you pick someone's weapon from the floor. Man you're the best that was it! Also thanks a lot, I want to use only stuff within the game so the hud can be used in sv_pure servers too, custom class images were a little buggy sometimes not showing in certain classes. [quote=zen][quote=Camus]Does anyone know where can I edit this little box? It appears whenever you pick someone's weapon from the floor. How to Change location of guillotine ammo? I have a problem. Guillotine ammo isnt at the same location as the gun ammo. How do you make it the same location as the gun ammo? I cant seem to find the res file for it. GamerfoxinatorHow to Change location of guillotine ammo? [quote=Gamerfoxinator]How to Change location of guillotine ammo? bLa GamerfoxinatorHow to Change location of guillotine ammo? [quote=bLa][quote=Gamerfoxinator]How to Change location of guillotine ammo? 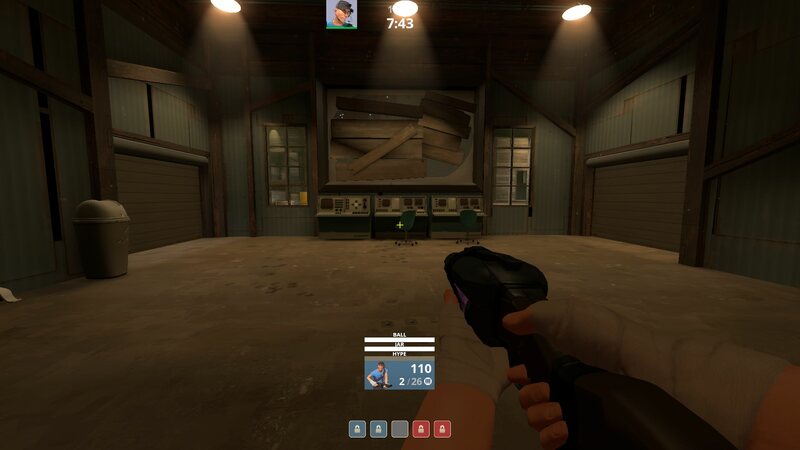 I'm having some problems with item effect meters on scout, using 3 weapons at the same time look fine. In one of the res files, possibly the default iteam effect meter one, there is a part called "x_base_offset" or something very similar, look through the files and remove that maybe? _KermitIn one of the res files, possibly the default iteam effect meter one, there is a part called "x_base_offset" or something very similar, look through the files and remove that maybe? Removing "x_offset" from both "huditemeffectmeter_cleaver.res" and "huditemeffectmeter_scout.res" and then fixing the "xpos" once again did the trick. Thanks a lot! What is file of the bar on the top of the screen next to the time that you can see who is dead and who is alive? MeironWhat is file of the bar on the top of the screen next to the time that you can see who is dead and who is alive? I see Camus in his screenshots above doesn't have this center panel that's a transparent Blue | Red and then black under neath it. [quote=Meiron]What is file of the bar on the top of the screen next to the time that you can see who is dead and who is alive? how can i add a small charge label under the crosshair to any hud i end up using. i know its supposed to go in hudmediccharge.res but idk anything else. also if i wanted to remove the larger charge number would i do visible/enable 0 for the normal charge label? thanks ahead of time! Comanglia MeironWhat is file of the bar on the top of the screen next to the time that you can see who is dead and who is alive? If I'm understanding your question correctly, you'd want to use "visible" and `if_match` to set the visibility how you'd like it. I have `visible` set to 0 in the main entry, but the `if_match` portion sets visible to 1. [quote=Comanglia][quote=Meiron]What is file of the bar on the top of the screen next to the time that you can see who is dead and who is alive? In some rare cases things cannot be moved for some reason so what I always try first is moving the "xpos", if it doesn't work setting "tall and wide to 0", if it doesn't work and if it is tied to an image "whatevernamefile" I remove the name. domthewhiteguyhow can i add a small charge label under the crosshair to any hud i end up using. i know its supposed to go in hudmediccharge.res but idk anything else. also if i wanted to remove the larger charge number would i do visible/enable 0 for the normal charge label? thanks ahead of time! In "hudmediccharge.res" under "ChargeLabel" change "labelText" to "#TF_UberchargeMinHUD" which changes the huge ubercharge label to only the charge number % and then change the font to a lower size. I would suggest to install a custom font and your preferred size for better results. Is there a way to remove or make the boxes fully transparent so I can only keep the information? I tried using custom vtfs but it does not look fully transparent. Have you tried adding "alpha" "0" or a low value to the playerpanels_kv part of hudtournament? That might make every element within the box transparent, not sure though. _KermitHave you tried adding "alpha" "0" or a low value to the playerpanels_kv part of hudtournament? I only want the main box to disappear but keep all the other elements (class image, player name, ready box and checkmark). I tried using "alpha" "0" but it makes everything go transparent sadly. [quote=_Kermit]Have you tried adding "alpha" "0" or a low value to the playerpanels_kv part of hudtournament? NokkYou can delete or make blank the border definitions TFFatLineBorder, TFFatLineBorderRedBG, and TFFatLineBorderBlueBG in the clientscheme, but I'm pretty sure this also affects similar player panels elsewhere, such as the tournament spectator panels. This is what I was looking for, thank you! In hudplayerhealth.res there shoujld be a part that has the line "labeltext" "HEALTH" and in hudammoweapons there should be the same with "AMMO". Make both of them visible and enabled 0. Thanks that worked but how do I make the black bar smaller by the health and ammo?